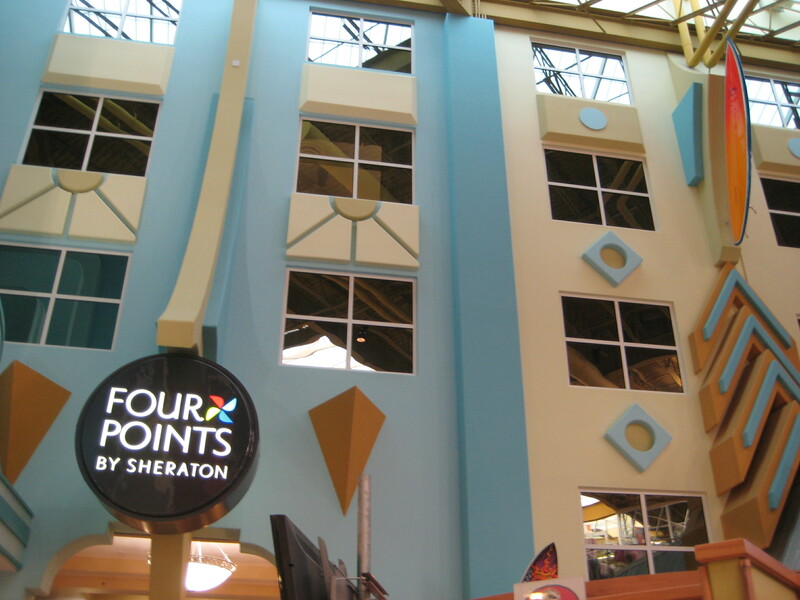 As part of our last trip to Florida to visit family for Thanksgiving, we had the opportunity to stay a few nights at the 4 Points by Sheraton Hotel that is part of the Cocoa Beach Surf Company’s surf shop complex. 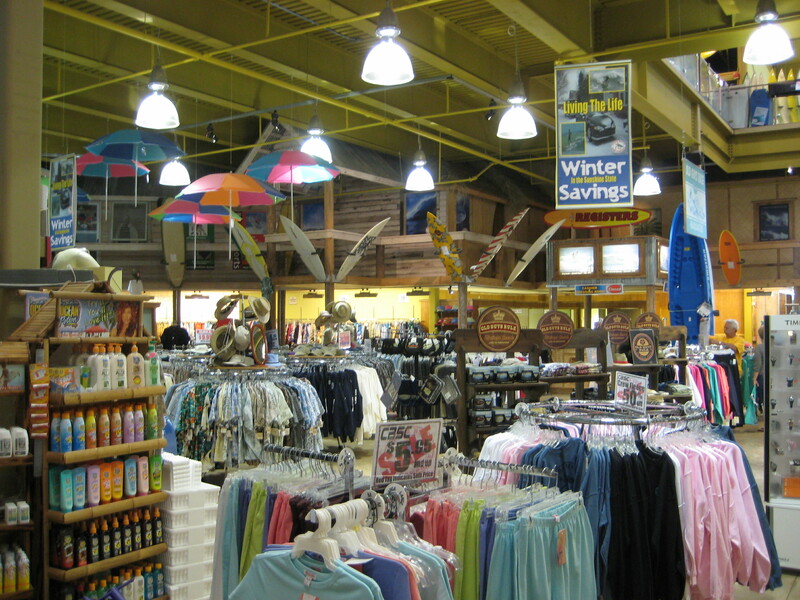 Cocoa Beach Surf Company is billed as the world’s largest surf shop complex and is directly across from Ron Jon’s. 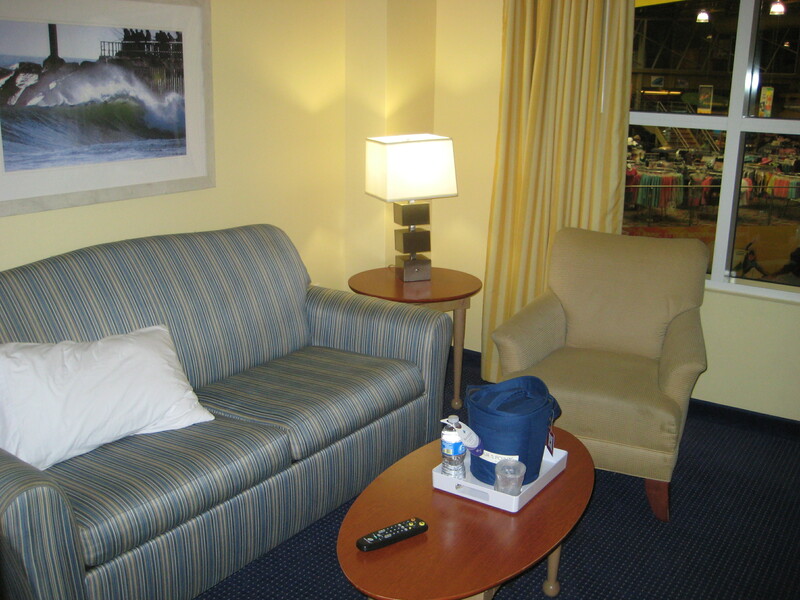 We had a nice suite that actually overlooked the interior of the multi story surf shop (I was in heaven). 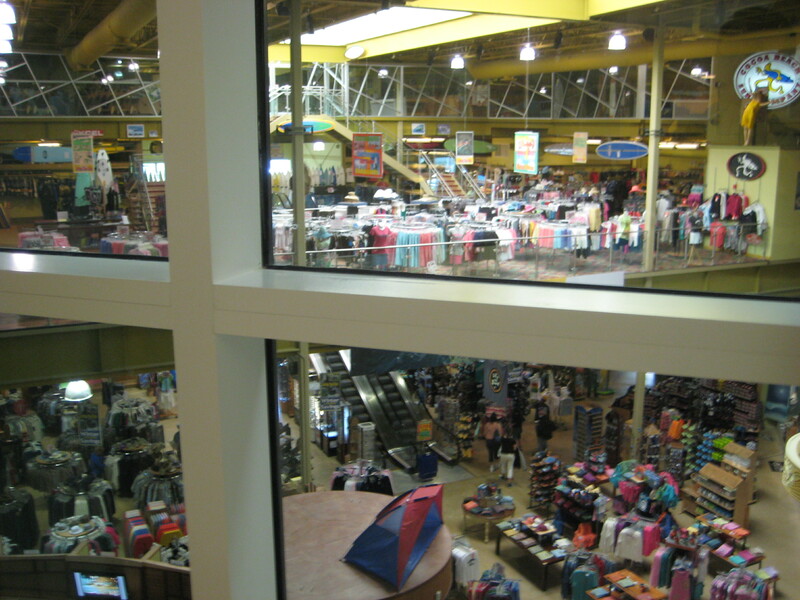 I was a bit strange not having a window directly looking outside, but it was fascinating to see the activity in the surf shop and the Shark Pit bistro. 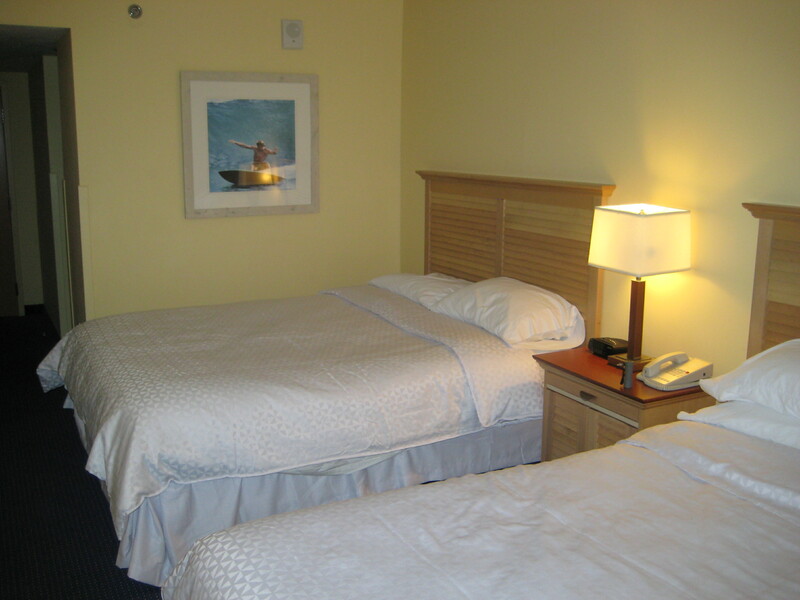 The room was very comfortable and accented in surf related lamps, pictures, etc. 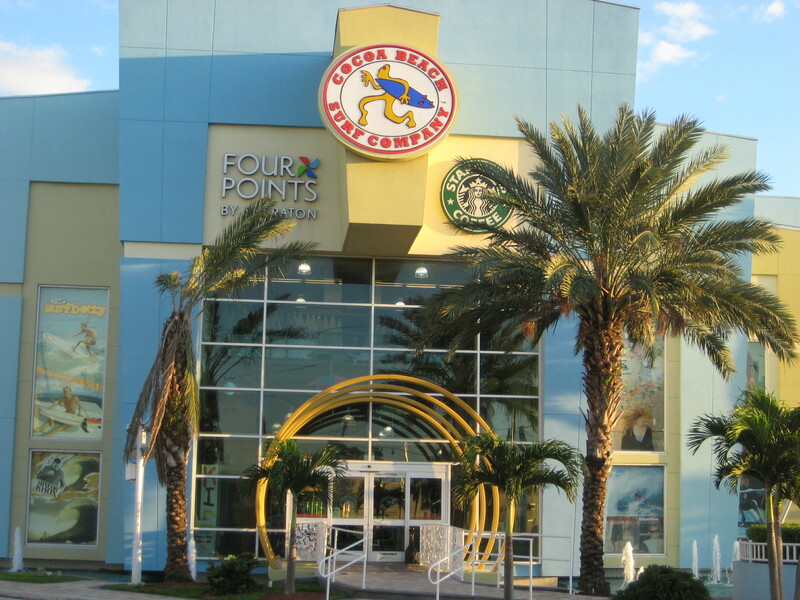 It was very quite and just a block off the beach. We would recommend at stay at this unique hotel. 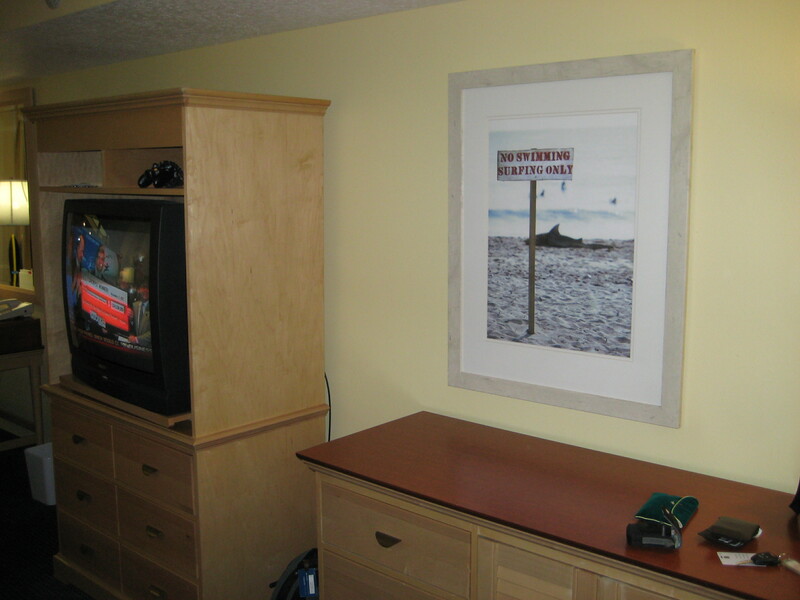 This entry was posted in Surf Shops and tagged CBSC, Cocoa Beach, Cocoa Beach Surf Company, Hotel. Bookmark the permalink.